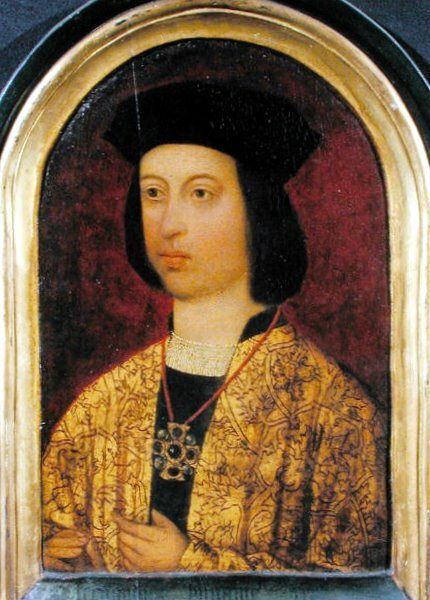 Ferdinand of Aragon was married to Isabella of Castile for thirty-five years. When Isabella died, the wily king was in his early fifties and for political reasons decided he wanted a new bride even though he had promised Isabella he would never marry again. He looked to the French for a bride in an attempt to make an alliance that would irritate his son-in-law Philip of Burgundy. It just so happened King Louis XII had a teenaged niece, Germaine de Foix, who was a good candidate to be the new wife for the Aragonese king. Germaine was born in 1488, the daughter of John of Foix, Viscount of Narbonne and son of Queen Eleanor of Navarre. Germaine’s mother was Marie of Orléans, a sister of King Louis XII of France. Germaine and her brother Gaston grew up in the family home until they were orphaned in 1492. They then went to live in the royal household under the supervision of Louis’ queen, Anne of Brittany. While there Germaine was given an education in the classics. Anne was very keen on making advantageous marriages for the young ladies in her care. In 1500, King Vladislas II of Hungary and Bohemia had been recently divorced and had no heirs. He sent envoys to France to pursue an alliance with King Louis which he hoped to cement with a new marriage with a young woman who could bear children. The envoys returned to Hungary with painted portraits of Germaine and a relative, Anne of Foix-Candale who was also in the care of Queen Anne. Anne won the portrait battle and became Queen of Hungary, leaving Germaine free to marry elsewhere. Germaine was on hand to greet Juana of Castile when she visited the royal Château of Blois in November of 1501 and also served her light refreshments on the evening of her arrival. Germaine was on tour with Queen Anne when her marriage to Ferdinand was being considered as part of the negotiations of the Treaty of Blois. Isabella of Castile had died in late 1504 and Ferdinand had promised her he wouldn’t marry again. He was fifty-three and chroniclers of the time said he was lusty but still notable. He had developed a lisp since losing a tooth and had a slight cast to his left eye. But he was wealthy and still a worthy catch. The Holy Roman Emperor Maximilian tried to steer Ferdinand away from a French marriage and offered him his choice of noble virgin princesses from Germany. Ferdinand told his subjects he needed to marry again in an effort to father a male heir. This was not true as he had three young daughters, three grandsons and four grand-daughters who were eligible to inherit his throne. It was a blatant attempt to create rival heirs to his adult children and to separate the kingdom of Aragon from Castile. This was particularly harmful to his daughter Juana who stood to inherit the throne of Aragon. It also put his daughter Katherine’s status in jeopardy. She was languishing in poverty in England after the death of her husband Arthur Tudor, Prince of Wales. If her position in the line of succession in Castile was diminished, it lessened her chances of marrying Prince Henry of England or any other husband for that matter. Ferdinand’s marriage to Germaine was part of the provisions of the second Treaty of Blois which was concluded on October 12, 1505. The terms of the treaty were an effort to restore peace after the Second Italian War of 1499-1503 which had two different phases. In the first, King Louis XII successfully invaded Milan, and then repulsed an attempt by the deposed Duke Ludovico Sforza to retake the city. In the second half, the French and Spanish jointly invaded the kingdom of Naples, but then fought over the division of the spoils. The Spanish emerged as the victors in this fight, winning key battles in April and December of 1503. The French were forced out of Naples, which remained under Spanish rule for the rest of the Italian Wars. With the stipulations of the Treaty of Blois, King Louis XII agreed to Germaine’s marriage to the Aragonese King. Germaine was actually related to Ferdinand as she was the grand-daughter of his half-sister. Any children born of the marriage would inherit the kingdom of Naples. If there were no descendants, Naples was to be returned to France. Ferdinand agreed to reimburse Louis one million gold ducats for the cost of the war which the French had waged in reconquering Naples. Louis liked this deal because Germaine was his relative and with this arrangement, Naples could come under the influence of France once again. Ferdinand said he was trying to win French support to his side, taking the advantage away from his daughter Juana’s husband, Philip of Burgundy. The treaty was concluded less than one year after the death of Isabella. Those who had fought with Ferdinand against the French weren’t happy with this alliance. Ferdinand’s people, who loved and respected Isabella, couldn’t understand his need to remarry so quickly. The veneration of Isabella had grown even more since her death. In January of 1506, Germaine and her train left France for Spain, crossing the countryside in the snow. On March 8, Germaine and Ferdinand were married in the small town of Duenas, the same town where Ferdinand had spent the early years of his marriage to Isabella. The couple spent their honeymoon there and some people viewed this as disrespectful to Isabella’s memory. 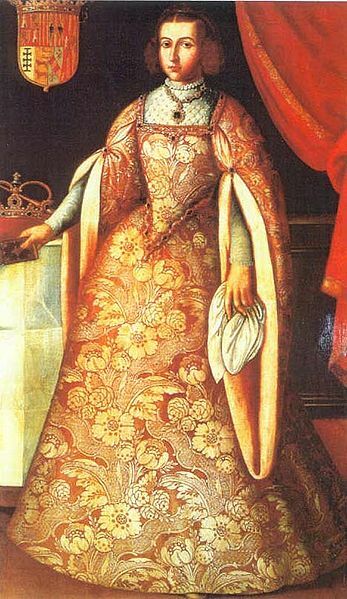 Almost immediately Germaine assumed her role as acting queen of Castile. She became so identified with her role in Spain, the French could no longer count on her to look out for their interests. As a consequence of this hasty marriage and the French connection, Ferdinand lost all support of the nobles and councilors of Castile. Only a handful of people backed him when Juana and Philip came to Castile to assert their rights as rulers. Two months after Juana’s arrival, Ferdinand announced he was returning to Aragon. It is unclear if he even met with his daughter before departing. Germaine and Ferdinand traveled to Aragon and then departed in July of 1506 for his valuable new Kingdom of Naples. In the wake of Ferdinand’s decisive defeat of the French in Naples, he left the great military commander Gonzalo Fernándo de Córdoba as acting viceroy. 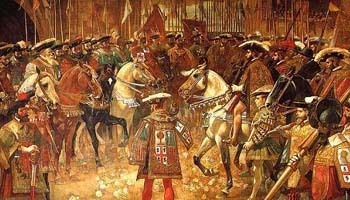 Ferdinand was greeted as a conquering hero and Córdoba paid tribute to him by staging lavish celebrations. It became increasingly obvious Ferdinand was irritated and jealous of the admiration expressed for Córdoba by the Italians and some of the Frenchmen. Germaine and Ferdinand did an extensive tour of Naples and he received the oath of fidelity. In 1507, they made a stop at Saona to meet with King Louis XII and then returned to Valencia where they were formally received. Ferdinand was convinced Córdoba had mishandled the management of Naples. He recalled him to Spain on the pretext of giving him the honor of becoming a Commander of the Order of Santiago. Once Córdoba was in Spain the honor was forgotten and Ferdinand made him hold the reins of Germaine’s horse when she went riding in an obvious effort to humiliate him. Córdoba eventually went into seclusion and was given no more military assignments. In the absence of her husband, Germaine acted as lieutenant general of Catalonia, Valencia and Aragon. In May of 1509, she gave birth to a son who was named John and given the title of Prince of Girona. Sadly, the baby died within a few hours. Her brother Gaston de Foix died on April 11, 1512 and his rights to the throne of Navarre passed to her. Ferdinand died on January 23, 1516. His health had been weakened by the effects of a potion made of bull’s testicles which Germaine had urged him to drink in an effort to increase his sexual potency and fertility. He may have suffered from the effects of syphilis which had been introduced in Europe at that time and was widespread among members of the Aragonese family. It was incurable and capable of causing sterility. When Ferdinand died, his will specified that Germaine receive villas in Madrigal and Olmedo. The thrones of Aragon and Navarre went to Juana and her son Charles. After Ferdinand died, Germaine withdrew to Guadalupe Arevalo and Madrid. In 1518, she accompanied King Charles to Aragon on his journey to hear the oaths before the Cortes. She remained at the court of the King. In 1519, Germaine gave birth to a daughter named Isabel. The father of this child is presumably Charles himself. The girl grew up at court but was never acknowledged as being the king’s daughter. Isabel is mentioned in Germaine’s will and she calls her “daughter of his majesty”. Isabel apparently died in 1537. Charles was instrumental in arranging Germaine’s marriage to John of Brandenburg-Ansbach-Kulmbach in Barcelona in June of 1519. John was a cousin of the Elector Joachim of Brandenburg and a good friend of King Charles. He had supported his election as Holy Roman Emperor and attended his coronation in Aachen. In 1523, Charles appointed Germaine to the office of Vicereine of Valencia jointly with her husband. This was no easy task. Valencia had fallen into a severe economic crisis. With the discovery of the New World in 1492, the European economy was focused on the Atlantic Ocean to the disadvantage of trade in the Mediterranean Sea. Valencia, along with Majorca, Catalonia, and Aragon were precluded from participating in the cross-Atlantic trade. Faced with a failing economy, the artisan guilds, known as the Germanies, rebelled against the government of the Habsburg King Charles with most of the fighting occurring from 1519 to 1523. It was known as the Revolt of the Brotherhoods. The Germanies rose up against the monarchy and feudalism, inspired by the Italian republics. It also involved a social revolt against the nobility who fled Valencia when the plague broke out in 1519. In addition, the revolt contained an anti-Islamic component as the rebels rose up against the Muslim population of Aragon and imposed forced conversions to Christianity. When Germaine arrived with her new powers, she took a hard line against the rebels and its leaders. She used brutal repression which led to a faster authoritarian centralization of the government of King Charles. Her preferred course of action was to treat the rebels as harshly as possible and it is believed she personally signed the death warrants of one hundred rebels. Under her rule, as many as eight hundred executions may have been carried out. Finally in December of 1524, Germaine instituted huge fines and signed a pardon that in essence ended the persecutions of all the former rebels. There may have been some scattered resistance to the government for a few more years as King Charles had to sign an additional general pardon in 1528. Germaine was a significant advocate of the integration of Spain and her pardon was one of the first documents issued in Castilian Spanish rather than Catalan. Also, the establishment of her court in Valencia is seen as the beginning of the demise of the use of the Catalan language there. The noble classes began to favor speaking Spanish to maintain Germaine’s esteem. After the end of the struggles in Valencia, King Charles was preparing to go to war in France. John pawned Germaine’s jewels, silver utensils and gold to raise funds. 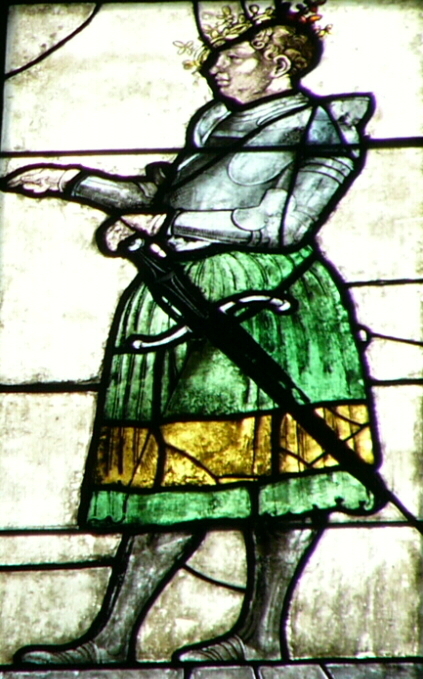 After King Charles victory at Pavia in early 1525, John was put in charge of the most valuable prisoner of the battle, King François I of France. John brought the king back to be held near Valencia at the end of June. John then suddenly became extremely ill and was suffering greatly. King François offered the services of his personal physician but John died on July 5 in Valencia. Germaine was widowed again but not for long. On August 1, 1526, King Charles arranged for Germaine to marry Ferdinand of Aragon, Duke of Calabria and Apulia. He was a cousin of Germaine’s first husband and the son of King Frederick of Naples who had been deposed during the Italian Wars. 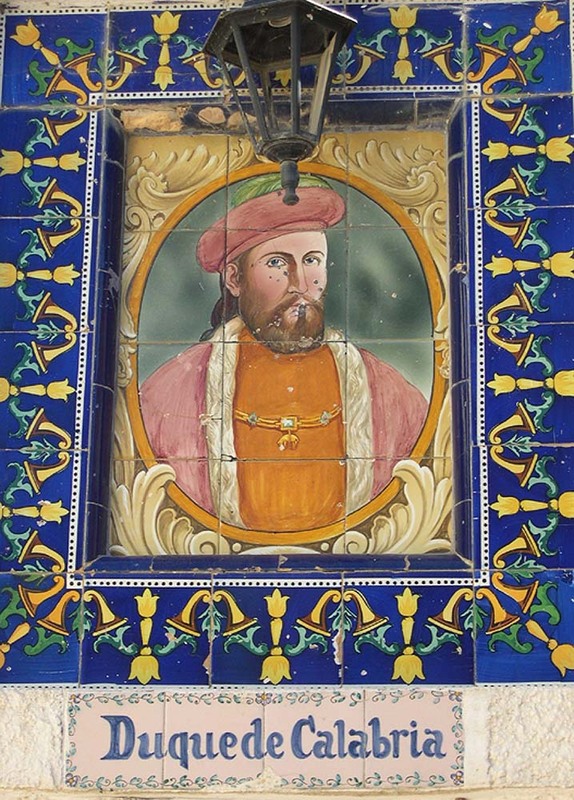 Ferdinand, Duke of Calabria had been taken prisoner and brought to Barcelona after his father lost the throne where he gained King Ferdinand’s friendship. Germaine and Ferdinand continued as viceroys of Valencia. They were notable patrons of the arts and music and presided over a cultural court that rivaled those of the Italian Renaissance. Germaine continued to encourage the slow integration of Valencia with Castilian dominated Spain. She died in Liria in 1538. As she requested, her remains were buried in the monastery of San Miguel de los Reyes which had been constructed upon her orders. Love to read about all this!!!! Thanks Susan!!! How odd to stress that Germaine was the niece of Louis XII but fail to mention that she was the half great niece of her husband Ferdinand, as the grand daughter of his half sister! I most certainly did mention it. It’s in paragraph 7 of the article.